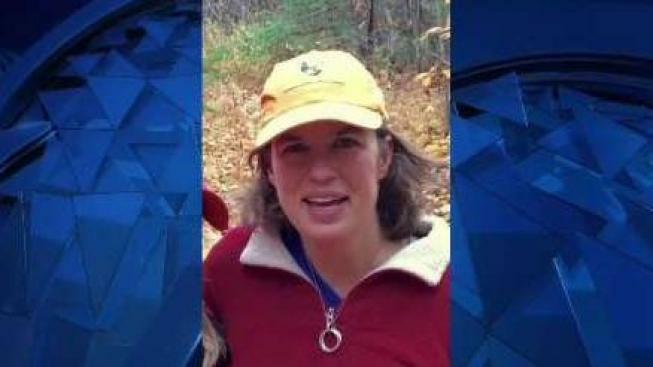 According to the Cumberland County Sheriff's Office, Kristin Westra, 47, was last seen at her family's home on Lufkin Road. "It's critical that we find her," said Captain Scott Stewart. "We are not ruling out foul play." Stewart said Westra was seen on a neighbor's security camera returning home from a jog Sunday evening. Her husband told investigators that she went to bed Sunday night. By the time he woke up early Monday, she was missing. He reported her missing to police around 9 a.m. Monday. The sheriff's office says that no known vehicle was involved and it's unclear why Westra would be missing. "She didn't have her phone, her keys, her car, or her wallet," said brother Eric Rohrbach. "We're terrified about the conditions she's in right now." Rohrbach said his sister had been stressed at work, teaching elementary school students at the Chebeague Island School — and stressed at home, where her family is undergoing an expensive renovation. "She's been getting a lot of anxiety and having trouble sleeping," he said. "I'm thinking she snapped, had a break, and left. Doing this to her family means she was not in the right mind when she left." Friends have started a website, findkristin.org to help generate tips. A team of at least 50 searchers from the Maine Warden Service and investigators from Maine State Police and the Cumberland County Sheriff's Department converged on the Lufkin Road area Tuesday. They plan to search into the night and hope to deploy a search plane when rainy conditions clear. Westra is described as 5', 10" tall, 140 pounds with brown hair and brown eyes. Anyone with information on her whereabouts is asked to contact the Cumberland County Regional Communications Center at 207-893-2810.